Reece and Mary Rogers will celebrate their 50th wedding anniversary on Sept. 5, 2018. 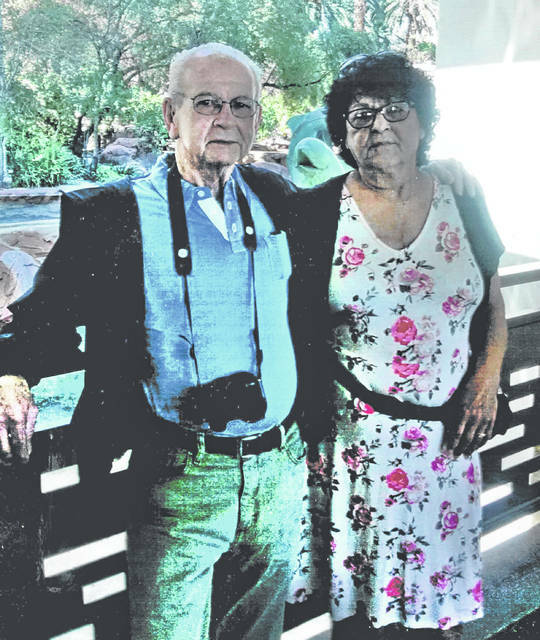 They are married Sept. 5, 1968 in El Paso, Texas, moved to Middletown, Ohio in 1971, and both worked in factories until their retirement in 2004 when they moved to the SR 753 area near Hillsboro. After 15 years they sold the farm and moved to New Market. They said they went from 50 acres to one acre and it was a big change, but they are very happy. https://www.timesgazette.com/wp-content/uploads/sites/33/2018/09/web1_Rogers-60th-pic09042018-1.jpgReece and Mary Rogers will celebrate their 50th wedding anniversary on Sept. 5, 2018. They are married Sept. 5, 1968 in El Paso, Texas, moved to Middletown, Ohio in 1971, and both worked in factories until their retirement in 2004 when they moved to the SR 753 area near Hillsboro. After 15 years they sold the farm and moved to New Market. They said they went from 50 acres to one acre and it was a big change, but they are very happy.